In day two of his semiannual testimony to Congress, Federal Reserve Chairman Jerome Powell said that the central bank is close to its timetable of ending its balance sheet reduction. Powell is referring to the central bank’s holdings of about $3.8 trillion in bonds, which it has steadily been reducing since October 2017. A separate statement last month alluded to a more flexible Fed that would be more strategic with regard to its balance sheet policy. The Fed is reducing its balance sheet by a maximum of $50 billion in proceeds from the sale of bonds, which it will use for reinvestment. “We’re close to agreeing on a plan which would light then way to the end of the process,” Powell said during testimony before the House Financial Services Committee. Furthermore, flexibility would also apply to its holdings of Treasuries and mortgage-backed securities, which signaled a diversion from statements that the central bank would resume its asset purchases if economic data warranted a rate cut. Powell said he expects a decision on the reduction soon, but no definitive time was set. Powell also acknowledged that the capital markets are anticipating the balance sheet decision. “I think the markets became much more sensitive to these issues,” Powell said. 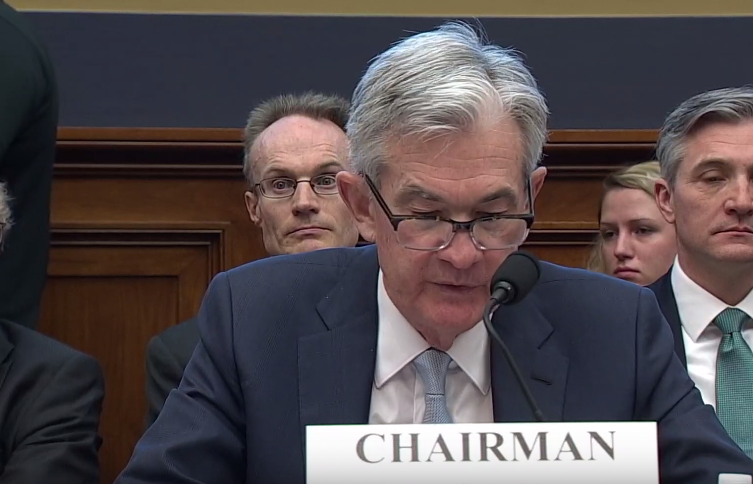 During the the first of two days of his semiannual testimony before Congress on Tuesday, Powell said that “crosscurrents and conflicting signals” are warranting a patient approach with respect to interest rate policy.